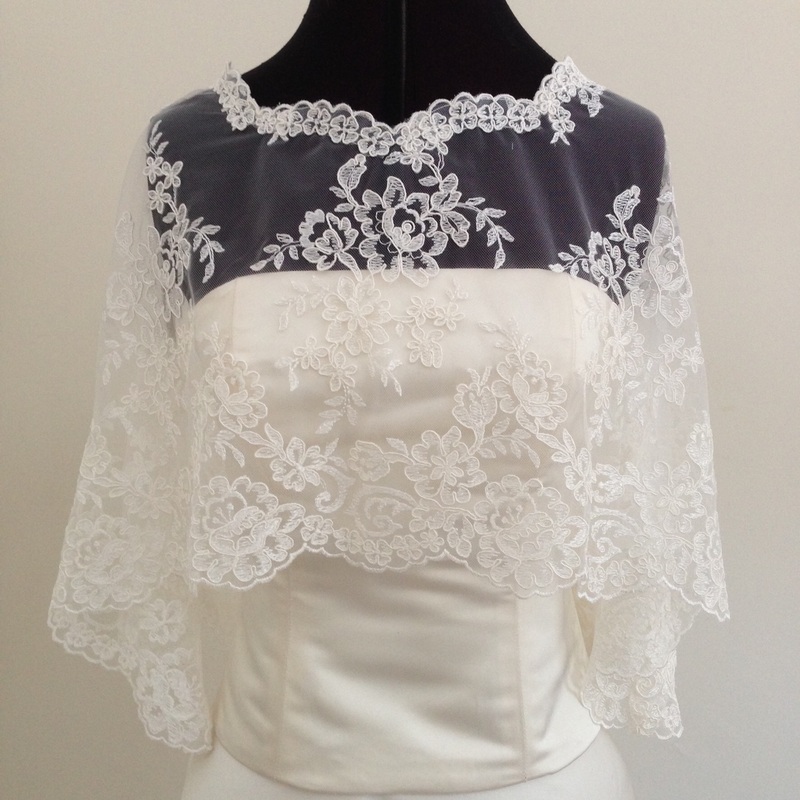 This capelet is made using a medium weight corded lace on a woven tulle. 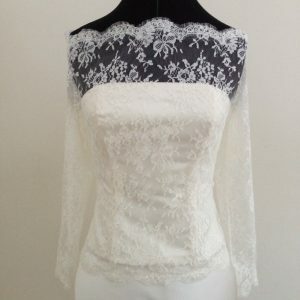 The beautiful floral design is called “Naomi”. 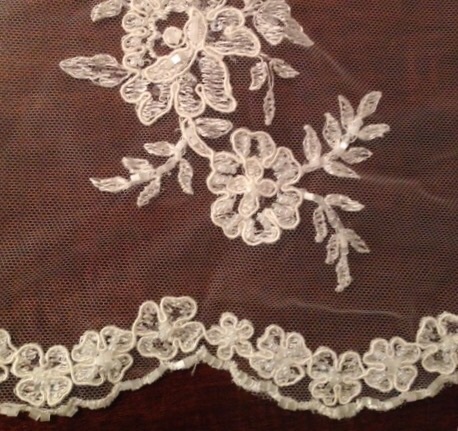 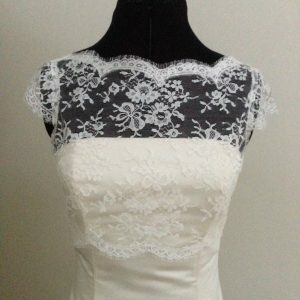 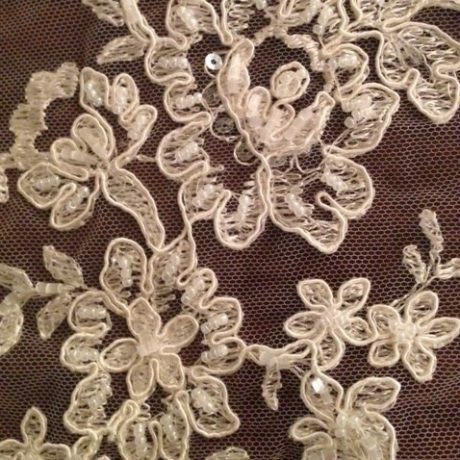 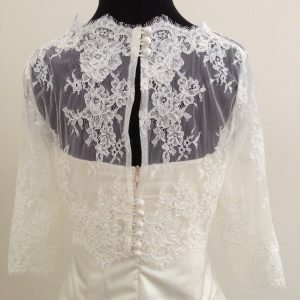 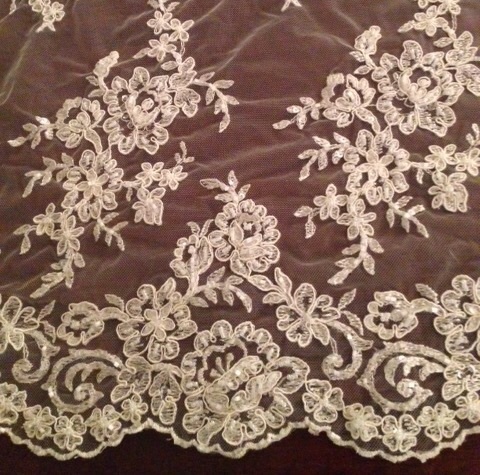 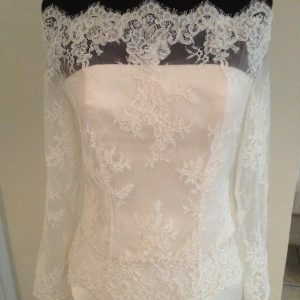 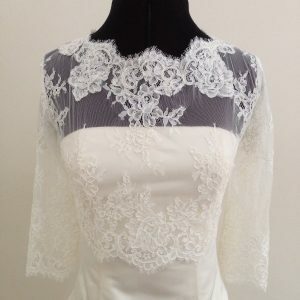 This lace comes in two versions, beaded or unbeaded, both in white or ivory. 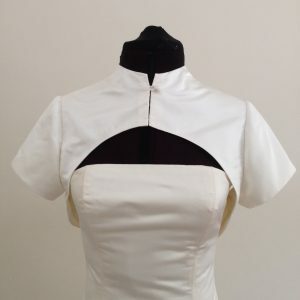 The stunning design of this capelet has a round neckline at the front and back, fastened at the back with loops and covered buttons from the neck to the waist. 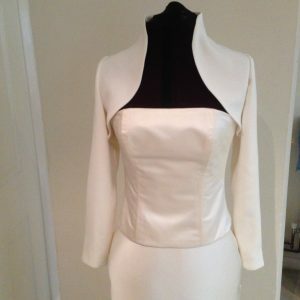 The hemline flows from under the bust at the front to hip length at the centre back. The length at centre front is 11 inches/28 cm, and at centre back is 21 inches/53 cm. 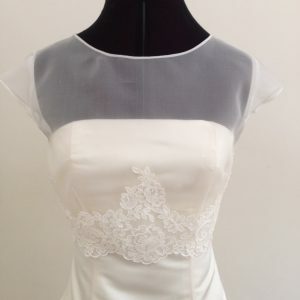 The neck edge is finished with a narrow scalloped edging and the hem edge is finished with a wide matching scalloped edging. 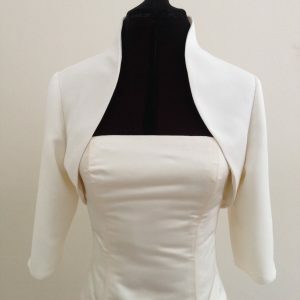 Also from the front collar bone to under the bust. 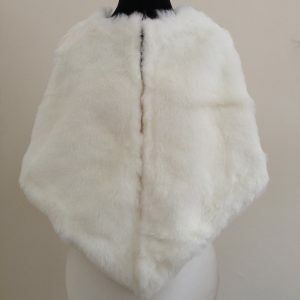 This will be the length of the capelet at the front ( normally 11 inches/28 cm) but if you want it longer or shorter please let me know. 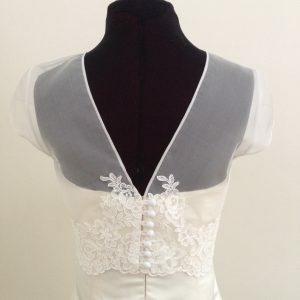 Also from back of neck to hip length. 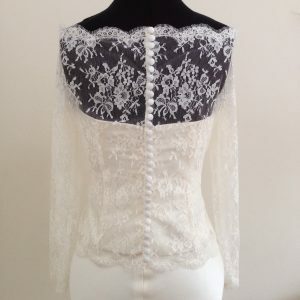 This will be the length of the capelet at the centre back. 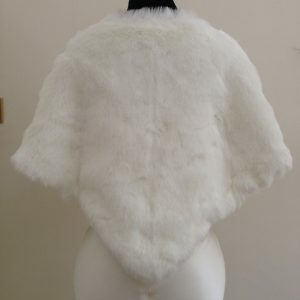 (Normally 21 inches/53 cm) but if you want it longer or shorter please let me know.